Logic is from the ancient Greek originally meaning “the word” or “what is spoken”, but coming to mean “thought” or “reason”, is a subject concerned with the most general laws of truth and is now generally held to consist of the systematic study of the form of a valid suggestion. 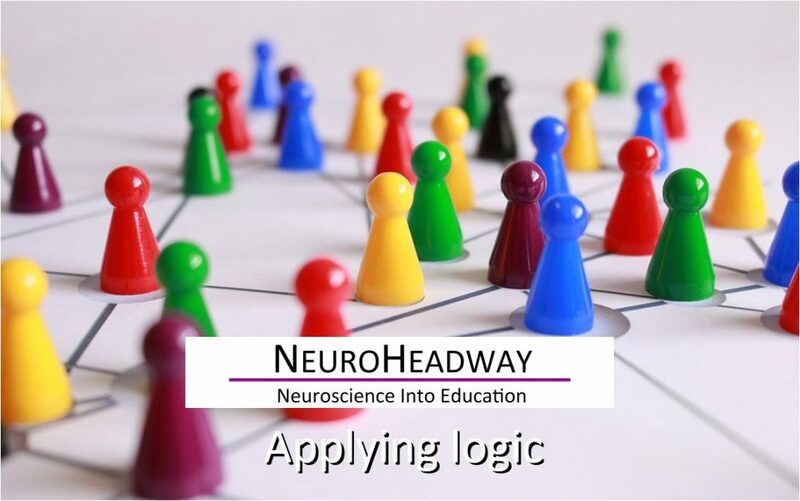 This module looks at how logical reasoning is everywhere and when we notice it, there is the opportunity to question it and look at things in alternative ways. How does reasoning affect logic? Exploring logical ways of thinking – and alternatives! We are continously working to improve and update our material to ensure it is meeting the needs of students and teachers alike. All modules are delivered to you via email through a downloadable link. Our programmes include a range of learning materials to support both teachers and students in the classroom. Content wise, each module is different but some components are common to all to provide assessment tools for teachers and familiar references for students. Working with leading neuroscience experts, we are delivering the latest evidence based research into the classroom with a range of clear, accessible, and engaging teaching modules. All modules are presented in a “ready to deliver” package, providing time saving and relevant material for teachers.